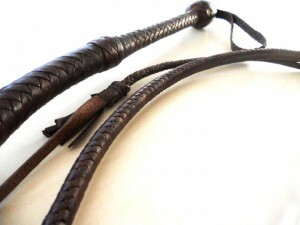 And ‘YOU the most celebrated, the “WHIP” par excellence that exudes adventure, faraway lands sacred and mysterious. 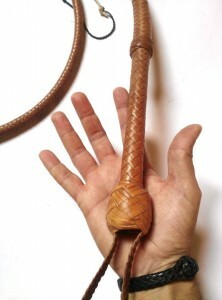 The original model was designed and built by the great David Morgan in the late 70s. 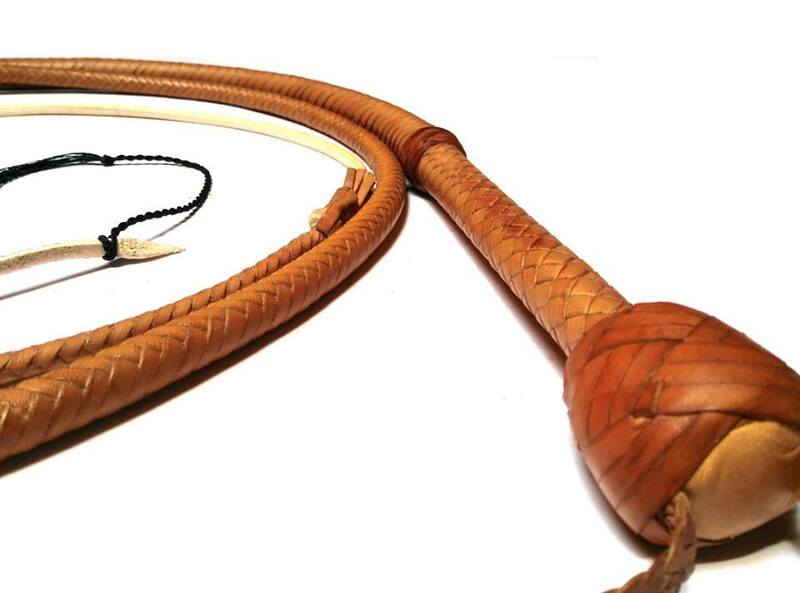 The “Bullwhip Raiders” so dubbed by me, is an exact reproduction of the whip created by David Morgan in the years used in the famous saga of the famous archaeologist. 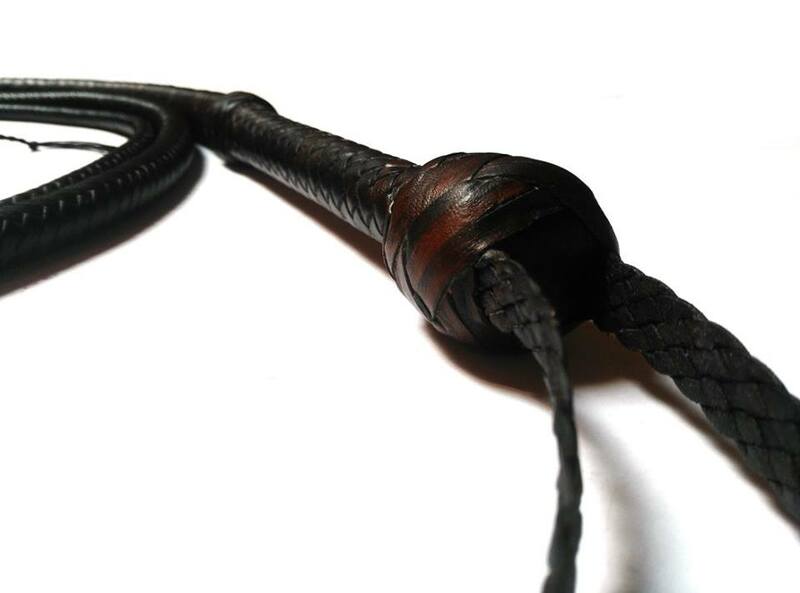 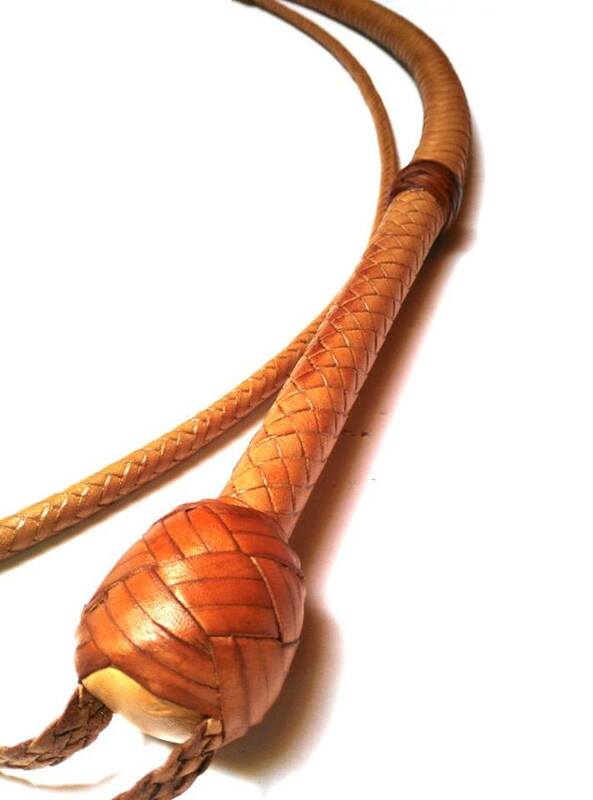 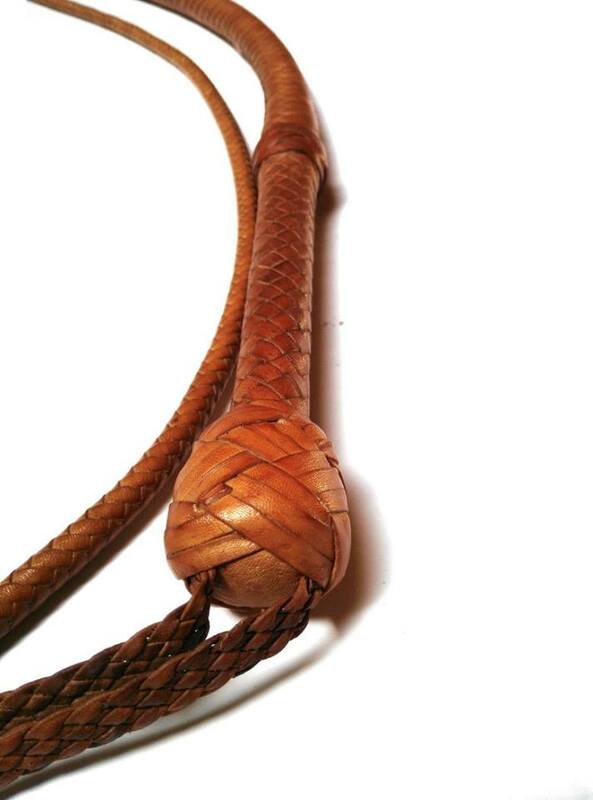 Each bullwhip is perfectly balanced to ensure a correct handling and the point of transition between the handle and the entire body is strongly reinforced in all the layers in order to ensure solidity and durability. 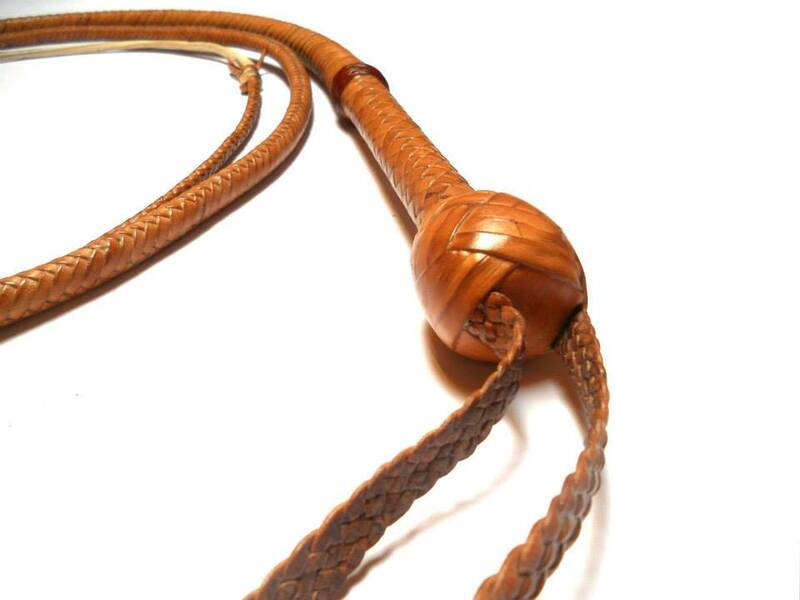 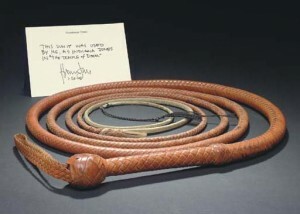 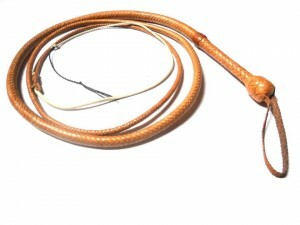 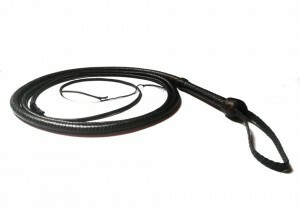 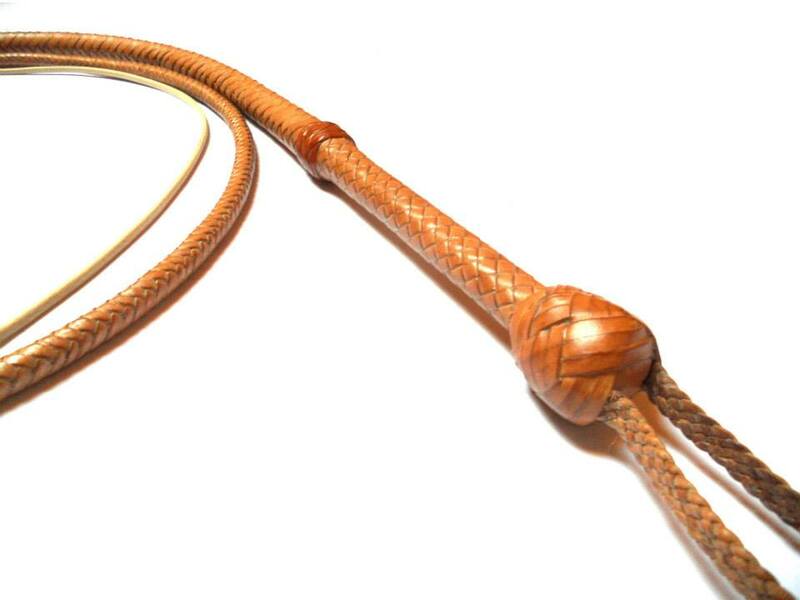 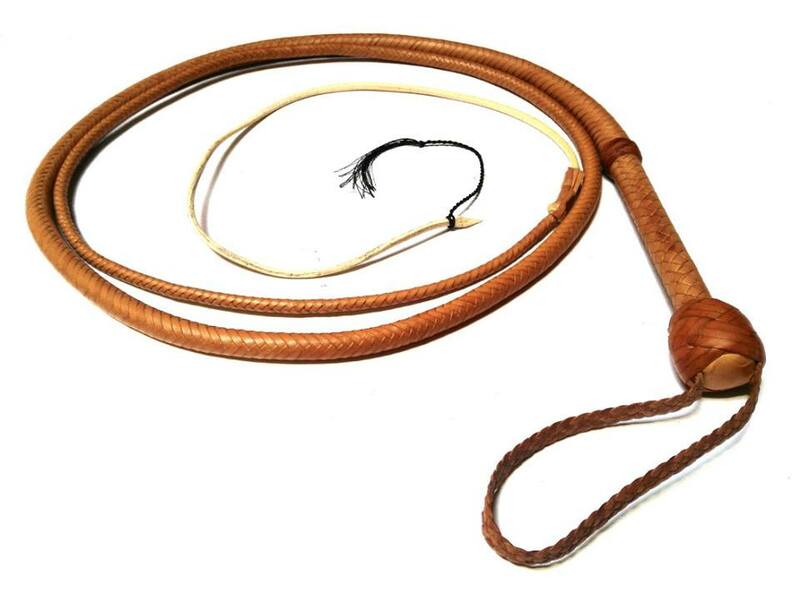 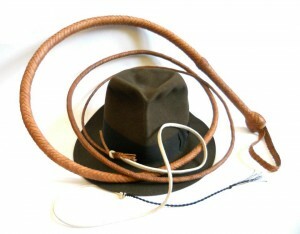 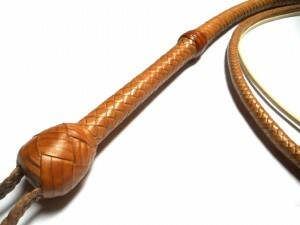 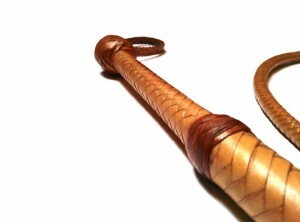 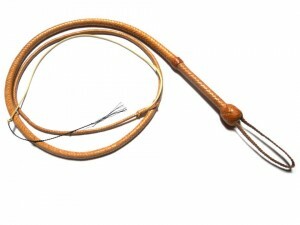 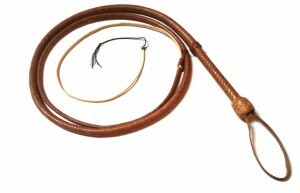 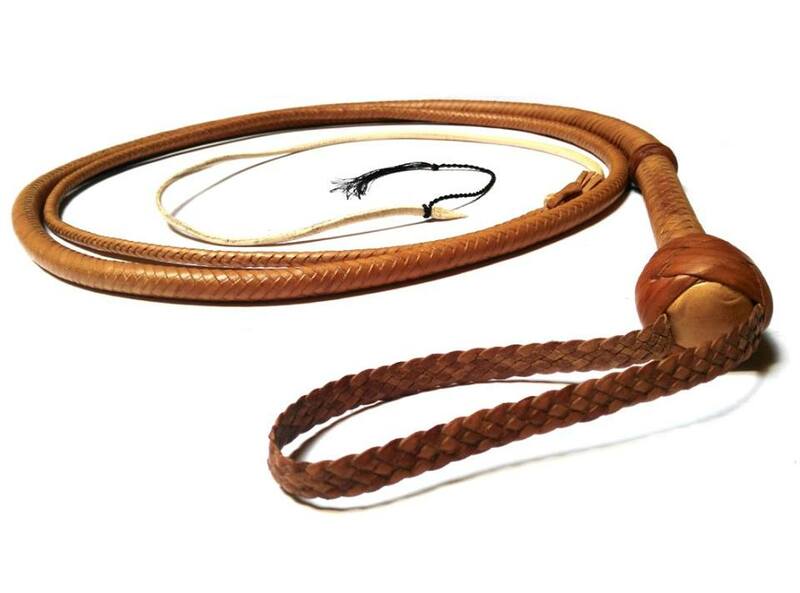 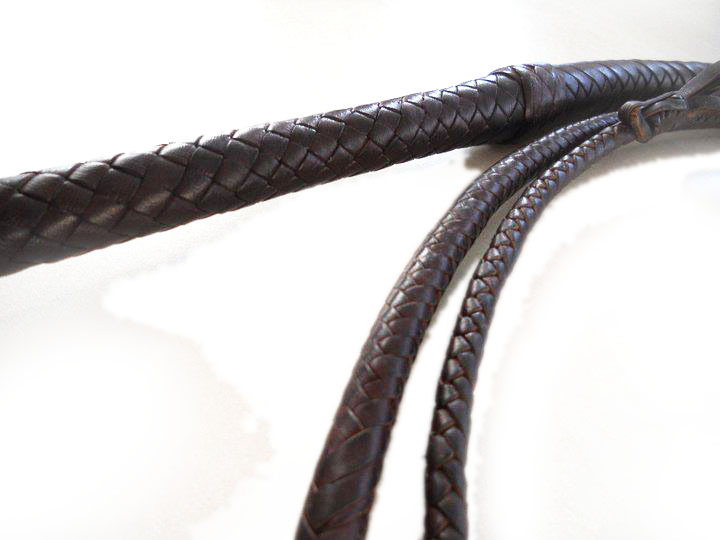 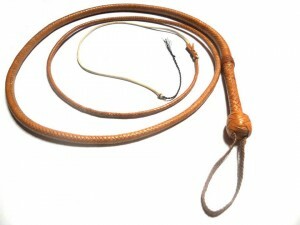 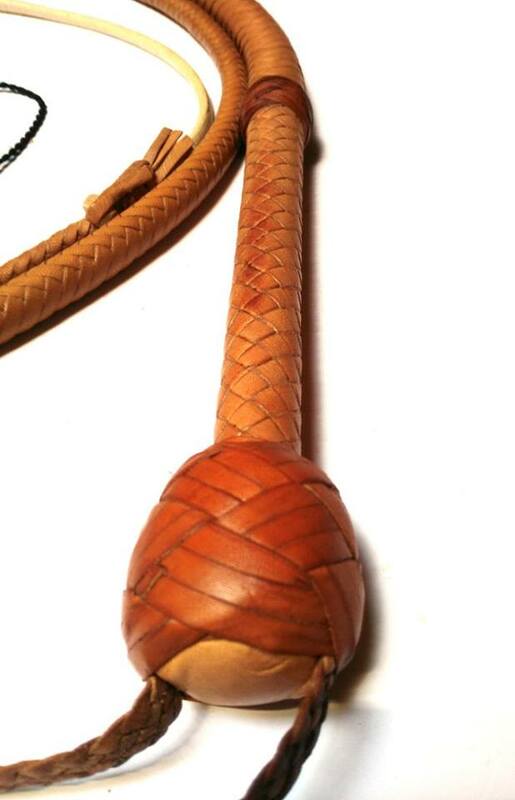 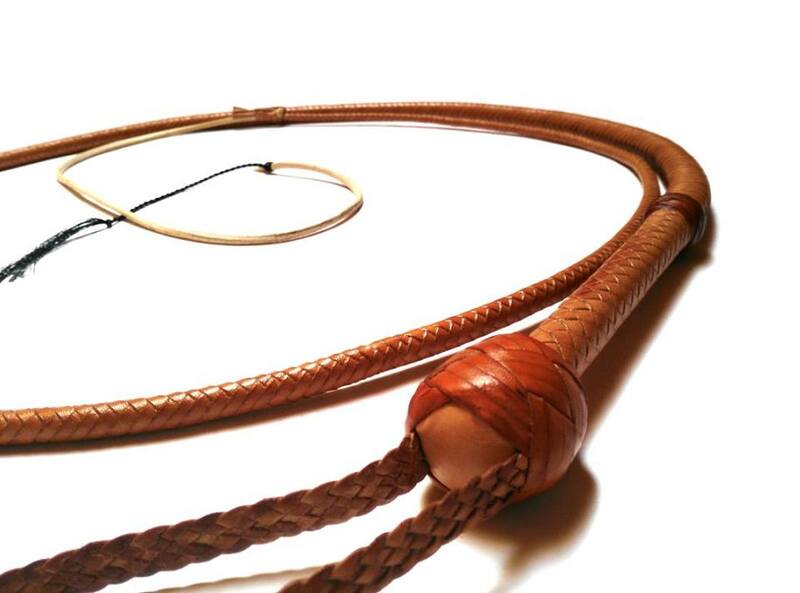 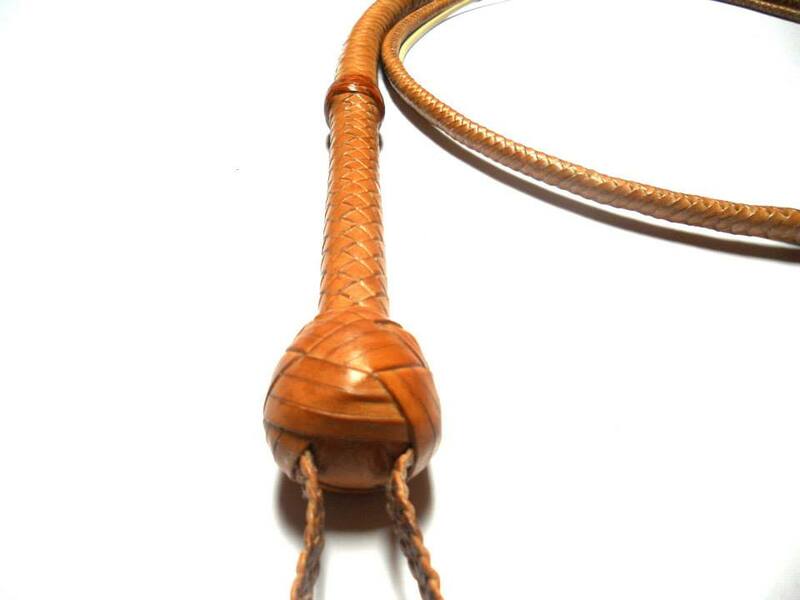 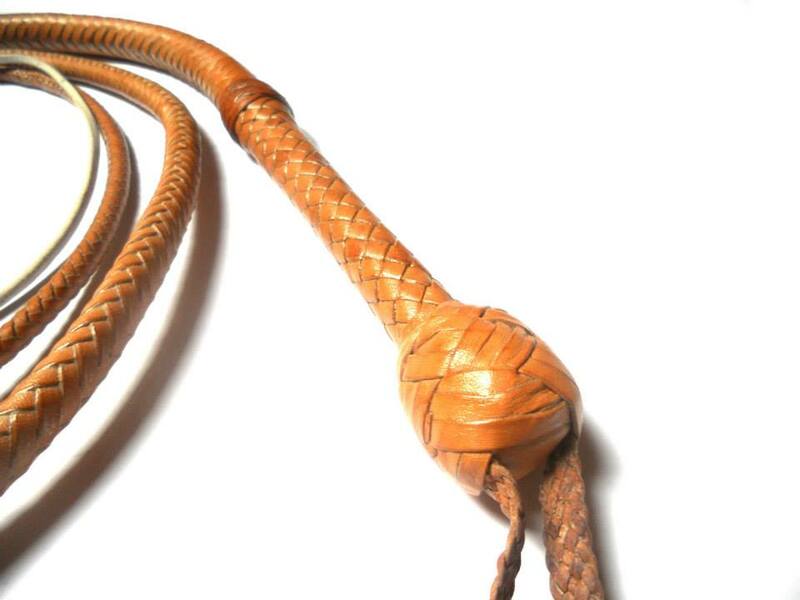 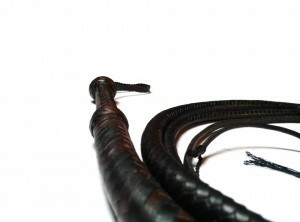 The “Raiders Bullwhip” consists of six layers: an iron bar 20cm long on which is fixed a shaped leather core “rolled filler core”, two belly plaited with four strips of kangaroo leather, each of which is coated by a cowhide leather bolster, and finally the ‘overlay plaited in twelve strips fully tapered ending in six strips.